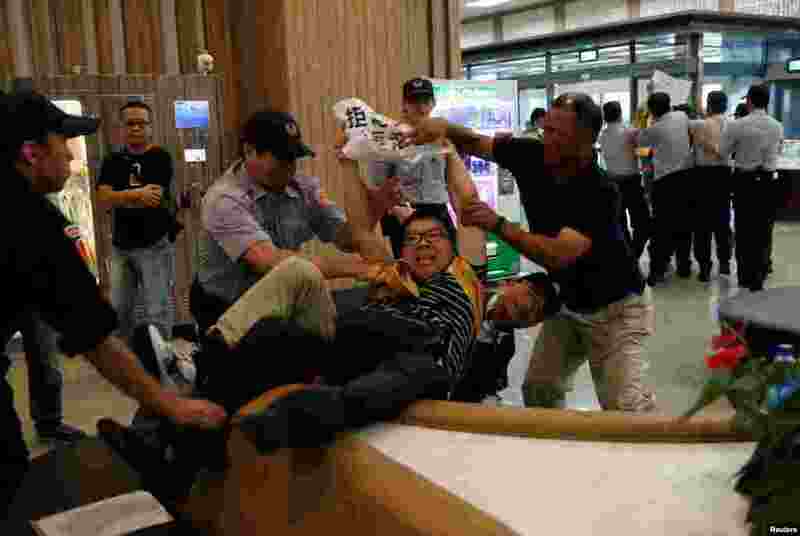 5 Anti-China demonstrators are stopped by police as Sha Hailin, a member of Shanghai’s Communist Party standing committee, arrives for a forum at Songshan Airport in Taipei, Taiwan. 6 A soldier shares a tender moment with his girlfriend while other soldiers rest during a rehearsal of a military parade a few days before the Independence Day in Kyiv, Ukraine. 7 U.S. President Barack Obama's dog Sunny dashes aboard Air Force One at Cape Cod Coast Guard Air Station in Buzzards Bay, Massachusetts, Aug. 21, 2016. 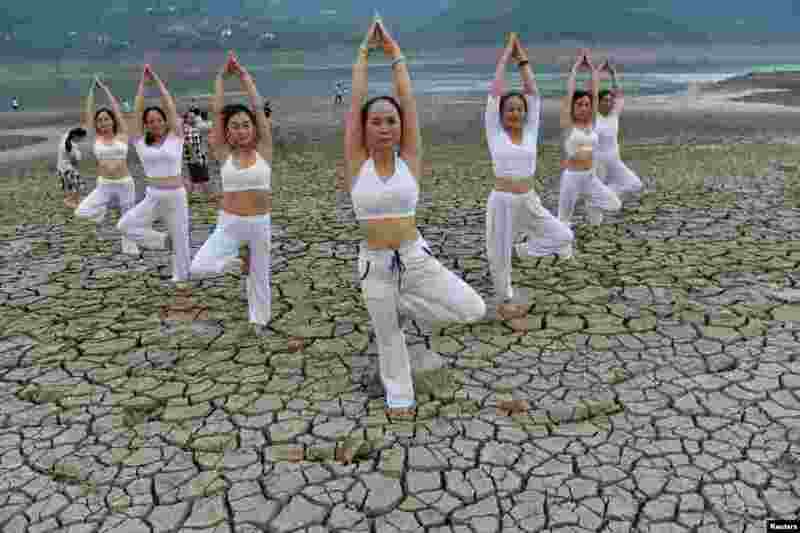 8 Women perform yoga on a dried river bank in Yunyang county, Chongqing Municipality, China, Aug. 21, 2016.